For a good all-rounder £650 is about par these days on the laptop market. Those stores do like to brand anything with a graphics card in it as a gaming laptop, terrible practice but folk clearly must still buy them thinking they’re getting better than console performance. I rarely see a computer good enough for FM for under 650. Buyer beware: if it's too good to be true it usually is! When buying a new Laptop now I would try to optimize it for the most demanding application I regularly want to use. If that’s FM then this asks for a good processor and dedicated GPU. But to keep the perspective in all these discussions about whether current HQ vs U processors are better (and I totally see Smurf’s point when he hints to the fact that you should aim at an HQ if it’s the same or not much more money to spend), as a very occasional gamer I was very satisfied with my HP Probook 4530 (until it passed away last week), at least 5 years old, 2.1 or 2.3 Ghz but only one core (could have been the i3 2310 but not sure exactly), no dedicated GPU (Intel HD Graphics 3000) but added an SSD and upgraded to 8GM RAM. I was able to play FM18 (Touch version) with 3D matches (lowest Details - not exactly fluid but it was ok for me), 5 leagues in reasonable speed. So anybody with a limited budget should still of course make sure to meet the minimum specs but if you’re ok with limiting yourself in terms of leagues loaded, 3D details and/ or longevity of the save, FM allows many ways to enjoy a save on a not-so-fancy notebook. What do you think of this list? For FM and other games: https://tweakers.net/gallery/716775/wenslijst/?wish_id=1541997 It's a little cheaper for me including the shipping. That's your opinion and I appreciate that - but many people buy a laptop purely for FM - including myself, and hundreds of people in this thread have also said as much in the last few years. FM requires a decent laptop - and if you're only playing FM then you need to put a bit of cash into it. Thanks for letting us know - how are you getting on with it? Yeah not knocking it as I’m an avid FM fan played every single one for multiple hours like everyone on here. But you don’t do anything else on your chosen laptop other than FM then? I do a bit of graphic design as it's my profession - however, I rarely work on the laptop. Some internet surfing, youtube, etc. music and all that - booking holidays etc. Other than that it's mainly used for FM. I'm putting together €2000 slowly to get my next machine. It's overkill, but should last me 10 years. I would like to perhaps play other games - but I do have a playstation for that. Plus a wife - so it's getting less and less gaming time as the years go on - sigh! Further to the above this looks good for everything I need including the SSD part, which I read a few pages back is ideal for FM? Are Acer laptops any good? Edit - I’ve gone with Smurf’s recommendation of the ASUS so ignore. Anyone? @Smurf do you have an opinion on Acers at all? No opinions on Acers or other computers - just look at the specs and go by them. But in saying that - I'd go for the Acer. And was wondering if someone can tell me if this would be suitable? It's not great for FM. What way do you play? A few leauges/divisions/small database over a short career (up to 10 years maybe?) might be ok. Thanks for the time you take to help members such as me! Looking into buying a new FM / gaming laptop, and just wondering if the Dell Outlet deals are much good? They've currently offer an extra 20% off the Inspiron 15 models. Can be bought for £845 (+plus 3% Top Cashback which would knock a few quid off again!). I haven't played in years, I used to play it online against a mate every night. I wanted to get back into it and I suppose I would like to be able to play it properly and my current laptop didn't do that years ago so it has no chance now. As a few people have posted on here, it may seem a bit daft to solely buy a laptop that cost £650+ just to play fm but that will be the main reason to buy it. I was originally hoping to spend £500 max but it looks like I am a million miles away from that? This is on its way to me now, how long can I expect it to last? I haven't been able to use it yet because my monitor is a VGA cable. Will the monitor you recommended work with my card? Hi, I have been looking to buy a new PC for a long time now. I need a laptop, as I have to take train/flight with work. I love to play FM, and really want the PC to run it OK/good. I have been looking at Surface Book 2-i-1 i5 256 GB, as i can get this a little cheaper trough work. Hi folks I'm wondering if I could run a fairly large database on the following. I'm pretty cluless at computers and bought this off a friend. Thanks for this Smurf! That looks more like what I'm after. The only other thing I've considered is ssd. But I have no idea if this will matter with fm? What do you Think? Will be looking for a new laptop over the next couple of months. Budget will be £700-£800 would like it to run a few leagues say 5-6 with ease. also if it's at all possible I would like one without a webcam? Thanks for answering Smurf, Do you have any decent laptops with optical drive and NO webcam? You'd have to take a look for yourself - the basics are there - stick to the same processor, ram and graphcis card - and then get which ever one you want. can you please advise if this laptop would be able to run fm, usually only on 3-4 leagues with high database. Medium (or low if need be) graphics. This is better than any MacBook Pro 13 inch ...and cheaper! Just when I think I've found what I'm after something else pop's up. Could anyone let me know they're opinion on which of these would be the best please. I need to man up and make a decision! So does that mean the ssd is more important that the i7? Absoutely do not compromise the processor over a hard drive. You can replace the hard drive later on down the road - it's very difficult to replace the processor. Go for the better processor every time. So this is the winner? Not bad to say I didn't want to spend over £500!!! Well that one is 800 so I don't know if you went over or not - however, it's a fine machine and you'll have no problems that I can forsee. 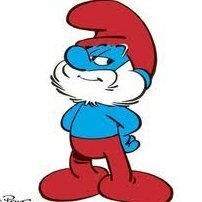 Smurf, you've been a gent. Now on to my next mission of getting LEEDS back in the champions league. Ah - yes, my beloved Leeds! Need to do a save with them soon! For what purpose? You looking to buy or looking to test me??? Lol test you on what ?? The one near 700 is the better option. But if you only have 600 then that option is fine. Will the Monitor you recommended plug in to my Graphics card? Well I'm struggling as son wants a laptop for homework exam stuff but looking to play FM also but just after Xmas ive only got a budget of £300-400 so struggling to find a decent one as need to buy from Argos or John Lewis due to some vouchers I have left over. My laptop is a Lenovo Z51-70 which runs FM perfectly fine but not sure how this compares. The processor in that one is fairly bad, it's only a dual core, which would be painfully slow with FM nowadays. It'd just about run FM, but you'd barely manage a couple of leagues with it. The graphics card is also fairly poor, only really suitable for office work. It'd be fine for the homework bit, but would be frustrating/painful to use for FM. Thanks I'll have a look again then try for a better processor. If I stretched to this how would this stand up?